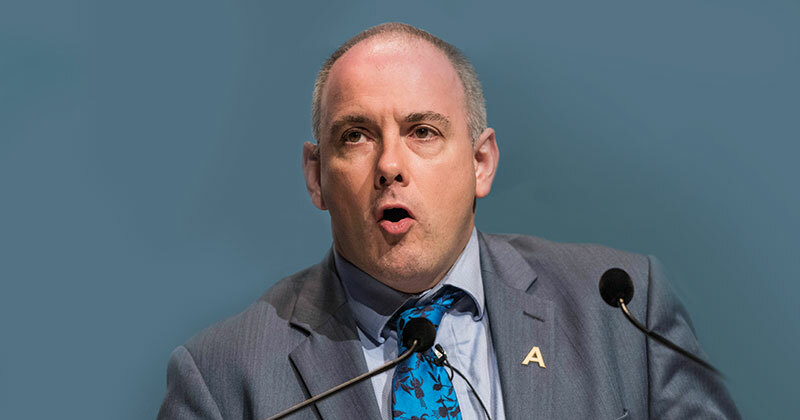 Robert Halfon is set to give the keynote address on the theme of social justice and skills at an event run by the Centre of Social Justice, the Learning and Work Institute, and the Open University on Monday morning. The chair of the Commons education select committee will set out his vision for how FE and HE can help the economy grow and deliver social justice. FE Week has highlighted six of Mr Halfon’s ideas for how this can happen. Mr Halfon – who has previously spoken passionately about the need to better support disadvantaged apprentices – will urge the government to be “smarter” about how the levy is used. “We could, for example, introduce a taper allowing employers to pay smaller contributions if they develop apprenticeships for disadvantaged pupils, and if they address skills shortages,” he will say. The former skills minister will repeat his earlier call for half of university students to be on degree apprenticeships – but also to propose a penalty for those universities that don’t offer them. “There are currently just 11,600 degree apprenticeships. I hope that one day, half of all university students are doing them,” he will say. He will urge the government to “ring-fence some of the enormous public subsidy that still goes to universities, so that universities can only draw down on this protected funding stream if they offer degree apprenticeships,” by way of incentive. He will add his voice to those of other major sector figures, including Mark Dawe, chief executive of the Association of Employment and Learning Providers, by calling for the controversial GCSE English and maths resit policy to be scrapped. “FE can be a vital player in helping the current and next generation build the basic skills they need,” he will say. “There is a strong need for intermediate skills,” Mr Halfon will say – rather than the “over-supply” of graduates that currently exists. Instead, he will propose that colleges “which are ideally place to offer flexible and local options” should be “better supported and incentivised to deliver intermediate and higher technical courses”. The “graduate premium” – the extra money that a graduate will earn over their lifetime compared with a non-graduate – “varies wildly”, he will say – with some returns “paltry”. As part of his plans for “rebalancing higher education” he will suggest that universities “that do not provide a good return on academic courses could reinvent themselves as centres of technical excellence”. Mr Halfon will call for the creation of “clear routes” from FE into HE, which could be supported through “Next-step loans for individual higher education modules”. “To build a continuum of learning, we must also make it easy for people to learn flexibly throughout their lives,” he will say.